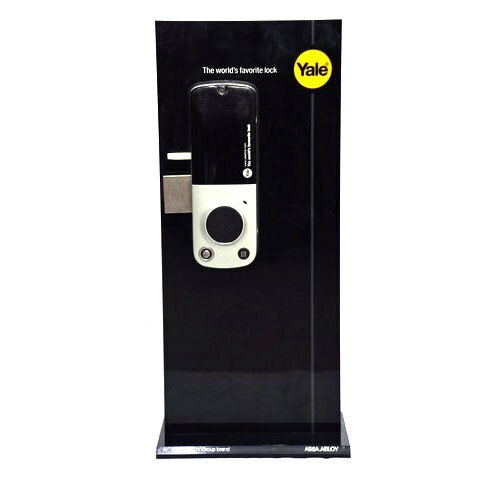 We are highly acknowledged organization engaged in presenting the remarkable range of Keyless Door Locker. Established in the year 1982, Surinder & Company is a highly acknowledged firm of the industry that has come into being with a view to being the customer’s most preferred choice. The ownership type of our company is a sole proprietorship. The head office of our firm is located in New Delhi, Delhi. In order to keep pace with the never-ending demands of customers, we are involved in wholesale and retailing a wide range of Door Handle, Long Door Handle, Cabinet Door Handle and many more. We present superior products to our clients and with a vision to improved focus on research and development. Also, stringent quality checks are been carried out by us over the whole range, to assure that our products are flawless and are in compliance with the norms defined by the industry. Currently, we are in association with most of the valuable clients of the industry to develop a niche market for ourselves.